Henrik Stenson cruised to victory at the Tour Championship in Atlanta last Sunday. In the process, the Swede also claimed the season ending FedEx Cup trophy, and pocketed a grand total of $11.4m in prize money. Yet somehow it didn’t quite seem that significant. It was a massive moment for Stenson, a groundbreaking win for an excellent golfer who had struggled with his game before finally regaining form this season. The 37 year old became the first European to win the prestigious season finale at East Lake Golf Club but the finale didn’t seem to garner the type of attention it has in the past. Maybe that’s because instead of Tiger, Phil and Rory chasing Stenson down, it was the likes of talented young duo, Jordan Spieth and Billy Horschel. Or perhaps more likely is that golf fans have found the format to have grown stale. 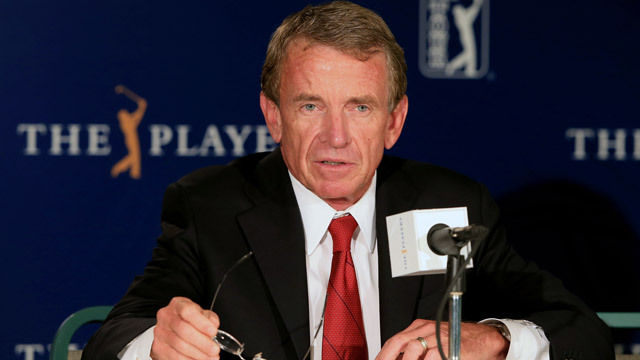 When PGA Tour commissioner Tim Finchem first announced the details of the FedEx Cup in 2005, the idea was hailed by many as revolutionary. For a number of years the PGA Tour had struggled with the late season slump in interest in professional golf. When the PGA Championship ended in August most of the big name pro’s would wrap up their seasons except for one last bow at the Tour Championship then held in November. The PGA Tour had long tried to keep their players playing until later in the year, and with the record breaking purse on offer, the FedEx Cup became the solution and so in 2007 the first FedEx Cup took place. The players would earn points in conjunction with the money list based on their performances throughout the season, and the top 125 points scorers would qualify for the first week of the playoffs series with the number being cut down every week until only 30 remained to compete for the Tour Championship. Looking back over the years now, it’s easy to pinpoint when the FedEx cup lost it’s appeal. For the first four years of the Playoff series the overall winner was also the player who had either the most wins or won the most money over the course of the season. 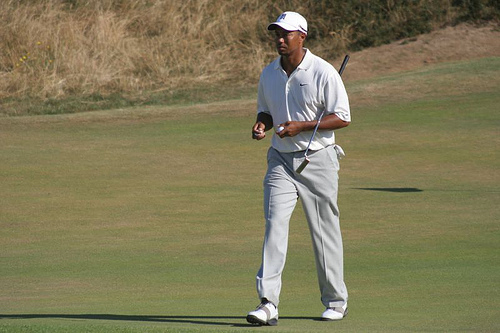 In 2007 and 2009, Tiger Woods was both the money list winner and the man with the most wins when claiming his FedEx Cup’s, Vijay Singh was the money list winner at the time of his win and although Jim Furyk wasn’t the highest earner during the regular season, he did have the most wins on tour when he clinched his title. In 2011, the pattern changed though. Bill Haas came out as champion in dramatic circumstances after finishing 7th on the money list. In 2012, Brandt Snedeker was 3rd on the money list behind McIlroy and Woods but walked home with the overall prize. And this year, even after his two late wins, Henrik Stenson was only 2nd on the money list, $2m and 3 wins behind Woods. In an attempt to keep people watching to the very last shot, the Tour made adjustments to the points system which made it less likely that the players who had played the best all season would be the champion. In fact it’s almost a case of whoever wins in Atlanta, wins the FedEx Cup, 2009 being the last time this wasn’t the case. The mistake here is that genuine fans are naturally invested all season, and in it’s current form, the FedEx Cup devalues what went before it. If the PGA Tour is serious about the FedEx Cup being a meaningful spectacle, they need to make changes now. Here’s the alternative that I would offer to commissioner Tim Finchem (pictured below). First of all, the format is wrong. The Tour Championship should be moved forward to the end of the regular season, marking its conclusion as it did in the past. Following that event, the Tour could issue its end of season awards and titles, before the FedEx Cup can start as a separate event. This would increase the prestige of the FedEx Cup, as the event would become its own entity, almost akin to an extra Major. Currently, before the playoff events kick in, there are 36 different events a year on the PGA Tour. I would suggest that the numbers that make it to the FedEx Cup be reduced to 100 players, and over a 3 week spell this number be whittled down to provide a champion. The winner of any regular season event should automatically qualify for the playoffs, and the remaining places would then be divided up by the highest ranked players on the money list who failed to win. Taking last season as an example, 29 players would qualify via their wins, leaving 71 places for the money list. For week one of the playoffs, the 100 players would face off in a stroke play competition. This event would establish the seeding of the players for the following week, where the top 64 would advance. At the conclusion of the week 1 tournament, all players would be given a seeding between 1 and 64 with money list ranking used as a tie breaker where needed. With the players seeded, a draw would be made for the following week’s golf. The players would be drawn into 16 groups of 4, where they would play out a round robin format. Each player would play the other members of his group once, playing one match a day on Friday, Saturday and Sunday. After 18 holes of Match Play, the result would either see a winner receive 2 points, or in the event of a draw, each player get a point each. On Sunday evening, the winner of each group would then be entered into an open, non-seeded draw for the last 16 men, leading to four days of straight knockout Match Play the following week. For the final event, play would start on Thursday with the last 16, followed by the Quarter Finals, Semi Finals and then the Final in the following days. Then after 3 weeks, and a mixture of stroke play and Match Play, the winner would be crowned. Currently there’s a general consensus that the Ryder Cup is the most exciting event in golf. Although, that is often accredited to the passion and patriotism that comes out in the battle between the US and Europe, the format itself plays a significant part. In Match Play, every shot matters, and over a period of time the toughest and most consistent players generally prevail. The players often talk about how there aren’t enough Match Play events on the schedule, and the amalgamation of it into the season ending FedEx Cup could be the rejuvenation the event needs. The round robin format that would make up Week 2 of the 3 week cycle, has already proven to be successful in the early days of the Volvo World Matchplay on the European Tour. It would also offer something different for American golf fans at a time of year where the return of the NFL significantly hurts golf viewing figures. These changes would make the FedEx Cup a truly unique prospect and something the players and fans could look forward to long before it begins. If anyone has any other alternatives on how the FedEx Cup could be improved, or if you don’t feel it needs to change at all, please comment and make sure to vote in our poll below.